PHARR — The Valley View Tigers have a lot of stars. Junior forward Mario De Los Santos will tell you they have 11. But the key for Valley View this year was moving away from the idea of 11 individual players and toward the theory of one combined unit. That philosophy has paid off this year, lifting the Tigers to an undefeated 31-0 season. Valley View is getting ready to face the defending state champion Frisco Wakeland Wolverines at 7:30 tonight at Birkelbach Field in Georgetown in the UIL Class 5A state semifinals. The team-first approach has worked thanks to players like Saldivar. He and sophomore teammates Carlos Medina and Joaquin Ramirez grew up playing together in Reynosa, Mexico. 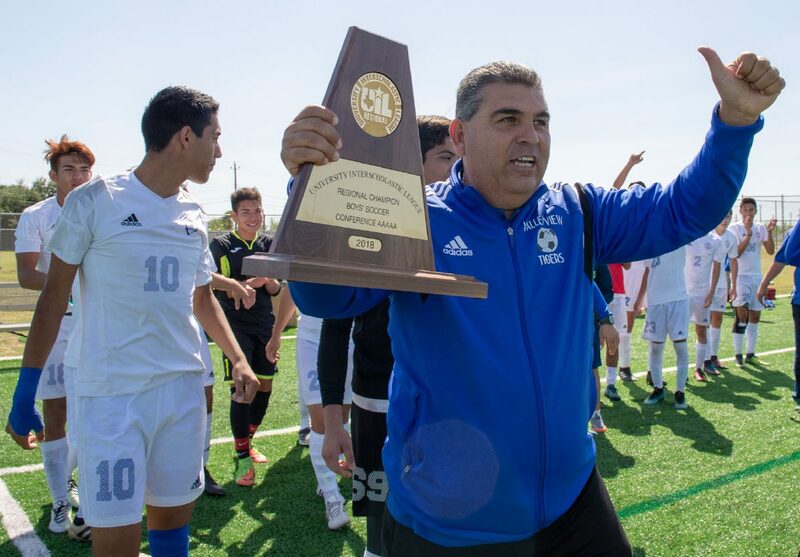 When the weight of the world was on Medina’s shoulders during a penalty shootout against Brownsville Lopez in the regional quarterfinals, Medina and Saldivar got together immediately. Medina delivered, and the Tigers’ season was saved. That bond, forged on the neighborhood fields in Reynosa, has strengthened as the Tigers have played together. The circle grew, and the entire team has become close. De Los Santos said he appreciates Flores’ efforts. 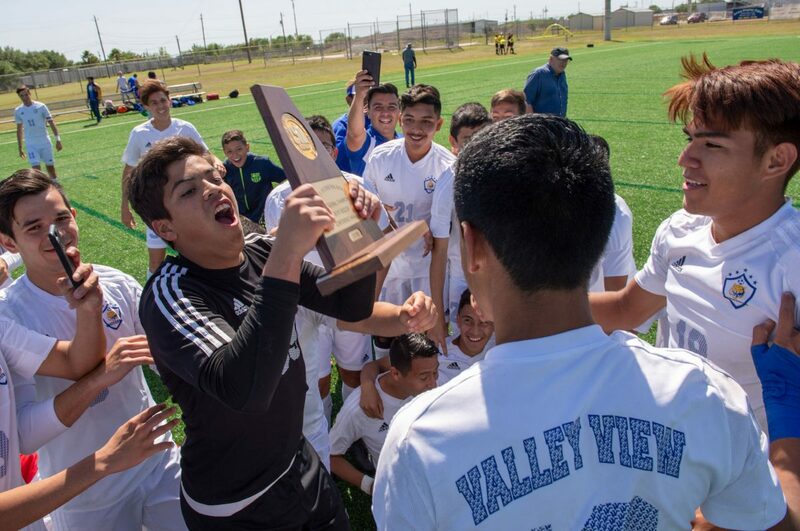 Bonding on and off the field has been key to Valley View’s unbeaten run. When the team travels for tournaments, one item is must-have for the long nights spent in hotels: a video game console. The soccer video game FIFA is a necessity among the Tigers. The matches get heated, and the team is ultracompetitive — just as they are about the real game. For the two friends from Reynosa, Saldivar and Medina, every faceoff is a “Clasico.” Saldivar uses Leonardo Messi to lead Barcelona into battle against Cristiano Ronaldo’s Real Madrid, helmed by Medina. Just like in the video game, the Tigers are hoping for a classic at state to bring home the title for one of their brothers.